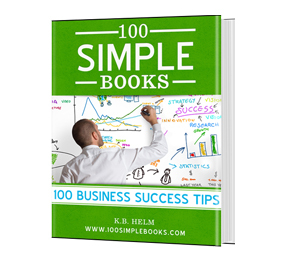 Quick tips and ideas for saving, success with free resources for your business. This article provides information if you are thinking about starting a resale shop that provides customers with the service of selling their goods for them on eBay and then collecting a commission on the sale. Below are tips and ideas for how to best set up this type of store. 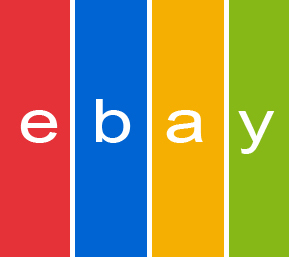 A few tips and guidelines to consider when planning an eBay consignment store. These type of businesses sell other people’s items and make a commission from the sale. 1.) eBay consignment stores do NOT charge a fee up front to sell items, but they charge a hefty 30-50% commission on the sale. 2.) You need to take possession of the item so you can photograph it and answer any questions during the auction regarding the item. You also need to handle the shipping, so that the owner of the item is not shipping the items late and so that you can pack it well and track it so you have proof that it was delivered. 3.) You must create a standard contact for each item that you agree to sell so that the item owner understands what the terms are of the eBay resale shop and also so you have documentation of your terms in case there is a dispute. 4.) You must have a good bookkeeping system to keep track of the eBay auction fees, Paypal fees, and sale prices of items. You will need this to calculate your commission and so that everything is black and white for the person who’s item you are selling. Look into consignment software to handle this task or use a bookkeeping and accounting software or spreadsheet. 6.) Set a limit on the minimum value of an item that you will accept. Somewhere in the neighborhood of $50-$100 is a good minimum. You do not want to waste your time with small commissions on low priced items. 8.) Only choose items that will be easy to pack and ship. You don’t want to be shipping a 50lb oddly shaped items that does not fit in any boxes or that may break during shipment. 9.) Do research on completed listings of the same item before accepting the items to sell to make sure that there is a market for them. Look for completed sold listings to see what the last auction sell price was so you know what you can expect to sell the item for. 10.) You must take professional quality photos for the eBay listings. This is not as hard as it may seem. Purchase a good quality point and shoot digital camera that has a macro setting for detailed up-close pictures. Also purchase a photo background and light kit and tripod. You can set up the background, lighting and camera in your store and continue to point and click your way to great photos. 11.) Make sure payments to owners of the items go out promptly and all communication with buyers and sellers is done quickly and professionally. 12.) Pack the items carefully and always track your shipments and purchase shipping insurance so you are reimbursed if shipping damage occurs. 13.) Market your consignment business around your area using ads in the newspaper, on Craigslist, with social marketing online, print flyers on bulletin boards or use word of mouth to friends, family, and business associates. 14.) Create high quality eBay listings with good descriptions and titles so that buyers can find the items. Get as much information as possible from the owner about the items history, age, working condition, frequency of use or other applicable item information. You want to include as many details in the eBay description as possible. For electronic or computer items, verify that the device is in working condition. 15.) Verify the age and authenticity of any antiques, brand names, or rare items that you are selling. You and your consignment store will be libel for your eBay listings and account. Negative feedback on your account is to be avoided at all costs. 16.) Buy a digital postage scale to weigh items so you can accurately estimate shipping fees. You do not want to undercharge for shipping and cut into your profits buy shelling out extra money at the post office. 17.) Set up accounts with UPS or USPS online and print your postage on the internet to save on shipping fees. There are discounts for printing postage online.